Handling a Human Resources (HR) department nowadays can indeed be tough. Staff attrition is the biggest culprit in making this otherwise enjoyable job to unbearable drudgery. Admittedly, no organization of any repute wants staff attrition. Attrition is often caused by absence of loyalty. There are several reasons why employees nowadays are less loyal to an organization, despite being perfectly honest and law abiding citizens. Let us examine some reasons for disloyalty among employees. Obviously, HR managers have lots on their table than manageable. Human resource managers and departments run into doldrums due to these causes. Often, these problems appear insurmountable. Yet, they are not. A few simple steps implemented regularly have proven to boost staff morale and increase employee loyalty towards the organization. In most cases, this translates into better performance and higher productivity. Hence, it may serve you well to consider the below mentioned ideas to boost staff morale and loyalty towards the organization. Here we look at five possible options. Developing your EI as HR executive will help you more-or-less gauge the morale of every employee. Hence, you can assist an employee overcome work related or sometimes, personal issues. This skill goes a long way towards developing personal relations with employees and helps develop loyalty. Furthermore, EI is useful in preventing morbid office politics. You can also take steps to curb or stop demoralization spread by errant staff from spreading to other workers in the organization. Improving Emotional Intelligence also offers you the opportunity to intervene in some adverse situation taking place between employees and the organization, at the right time. 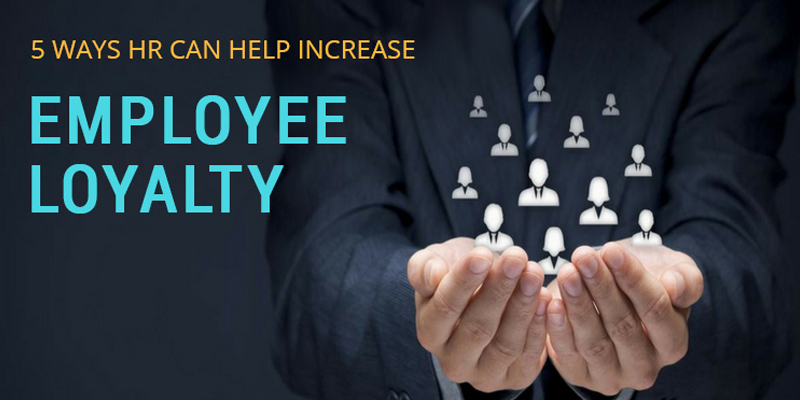 Immediate remedial measures can be taken by you to prevent this situation from escalating further to earn loyalty of employees. Additionally, you can impart your EI skills to other employees to assist them in problem-solving and thinking out of the box for personal benefit and increased productivity. Thus, possessing well-developed EI helps you boost staff morale and consequently, their loyalty towards the organization. Myriad time-tested and proven ideas that promote employee engagement can be effectively deployed by your organization. Below are some such ideas aimed at creating or expanding employee engagement in your organization. Encourage employee participation: Allow your employees to voice their opinions about various organization-related issues. This can be done privately or at staff meetings, according to merit. Carrot-and-stick method: Reward high performance and excellent productivity and achievements immediately. The good old ‘carrot-and-stick’ method always works wonders in increasing employee loyalty leading to increased productivity. Mentor your employees: Understandably, everyone requires a mentor at every stage of life. We often are confronted by problems or issues that overwhelm us causing dissatisfaction. Mentoring your staff is the surest way to build employee loyalty. Encourage interaction among colleagues: Irascible colleagues are often the main culprit behind certain employees losing loyalty towards an organization. As HR executive, you can promote healthy interaction among colleagues. Such interpersonal relationship develops a work-friendly ambience and helps develop loyalty. Provide training and skill upgrade programs: Another guaranteed method of ensuring employee loyalty to your organization is through training and skill upgrade programs. It is also a vital part of employee engagement. Employees generally are reluctant to leave an organization where they can learn and effectively use better skills. Unless you clearly define goals and objectives of your organization, employees will continue to withhold their loyalty. Admittedly, employees work for their pay. However, it is worth remembering, they also worry about their career, finances, family and motley other things. Invariably, these worries tend to get the better of their thought. Consequently, you are saddled with employees who are in the lurch about where the organization is headed. Lack of loyalty towards your organization can be avoided merely by informing employees about the company’s long, mid and short-term goals. It is vital to ensure, employees are aware the objectives of the employer. This also facilitates them to chart their own career course. Additionally, they know what to expect from your organization in the foreseeable future and how they should adapt to suit these needs. You may also involve your employees in making vital but non-classified decisions of your organizations. These ideas can revolve around how to achieve set goals and objectives. This imparts a sense of participation as well as generation of innovative ideas. Often, decision making by employees has proven beneficial to an organization compared to those taken in close boardrooms. Furthermore, immediately communicate all decisions, goals and objectives that involve employees. Leaving employees in the dark creates a sense of uncertainty and doubt, causing severe dip in loyalty levels. Obviously, this can sound ridiculous, but involving the family of an employee in social events held by an organization helps. Major corporations around the world hold regular sports, social and cultural events where employees are offered an opportunity to participate with their families. Involving families has some major advantages for your organization. For one, it helps families of employees to better know the organization and its culture. Secondly, it fosters friendship between families. This in turn, forms a support network of sorts for employees. Thirdly, employees feel more confident about the company because they are assured it cares for the family as well. This works wonders for building employee loyalty for your organization. Family picnic where employees regardless of their designation or job profile, mingles as friends is an ideal way to foster employee loyalty for your organization. Alternatively, you can also organize sports events for your employees and their families. Get families to employees to participate in a cultural program. This is extremely helpful if you work for an organization that hires people from diverse ethnic backgrounds. Yet another major culprit for lack of loyalty among employees in an organization is stagnation. Meaning, every employee exerts best efforts with the hope of getting promoted within a reasonable period. Sadly, some organizations fail to recognize this innate human need for being appreciated and rewarded. A salary hike and promotion delayed can send staff morale into tailspin and have adverse impact on an organization. You may have staff hemorrhage. Consequently, you will be saddled with non-performers and a huge recruitment list. Add to this, the cost of training new recruits to fit into your organization’s culture, work ethics and environment. The overall expense in terms of lost man-hours and productivity is colossal. The simplest way to prevent your organization from getting into this situation is by promoting deserving staff at regular intervals. You will require a well-defined HR policy that lays parameters about whom to promote and why. Additionally, you also need to determine salaries of promoted staff, since you may have top-performers who also require suitable appreciation in terms of designations and pay. A simple method adopted by some companies is, involving employees of the organization in this decision making. Employees are asked to nominate whom they would like to promote, based purely upon their merit. Developing employee loyalty serves well for every organization. Firstly, you get to retain known people and help them fit into your work culture. With some training, they can become excellent performers. This translates into increased profits for your organization. Further, you save on expensive recruitment processes necessary to fill in vacancies left by former staff for any reasons. Harshal Pedamkar is a passionate writer and a technology enthusiast. His content is mostly focused on money saving/making tips and digital marketing. A writer by night and reader by day, he has a passion for sharing his knowledge through his writings.